This is my cousin Aaliyah learning to balance on the balance ball. She’s six, and takes the beginner class on Saturday morning. Well, school starts next week, but we’re already back to class at the Lone Star Circus School. Don’t worry, though. You can still come and join us. Kids (or adults) can sign up for one class, or drop in when they have time. Or you can sign up for a whole semester of classes. The complete schedule for Lone Star Circus is online here. I want more boys to come to circus school this fall! It is so much fun, and it really builds strength that will help in any sport or other activity. There are a lot of other skills you’ll learn, too. Like how to perform in front of a small or large audience, and the art of “styling and smiling” — that is, drawing applause from an audience. Tuesday night character development class with Teresa Tipping. The focus here is on turning skills you have — whatever they are — into an “act”. It’s loads of fun! Thursday night circus acrobatics with Teresa Tipping and Fanny Kerwich. I was kind of worried about this one. I took acro classes at Circus Smirkus this summer for the first time, but I’m not a gymnast. So I was afraid that this would be too hard for me. It isn’t, and Teresa is very good at helping me. I had fun in the first class! Saturday morning advanced circus class with Truett Adams and Teresa Tipping. This is a class where we’re practicing some clown moves. Lone Star Circus School is at the Paleastra, near Beltline at Midway, in Addison. 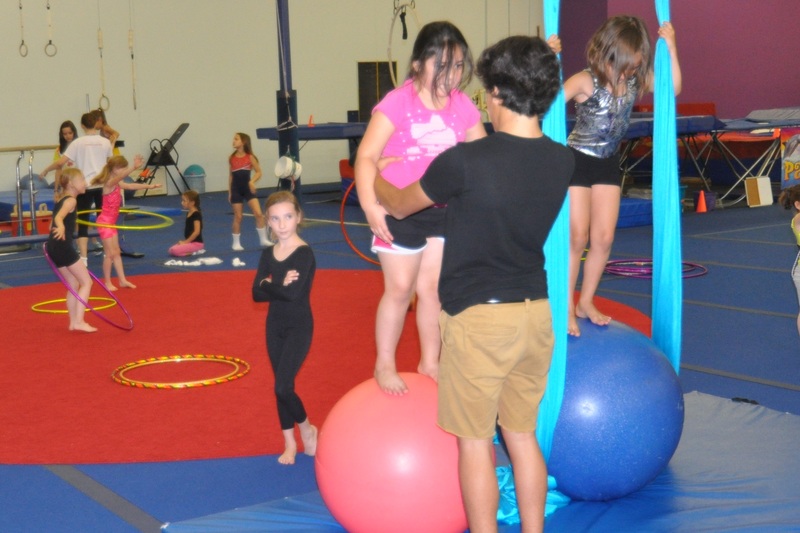 If you’re brand new to circus class, talk to the instructors about what class is right for you. Some kids come straight into advanced circus because they’ve had gymnastics or learned at home. Others start in a beginner class and move up. Either way, you’ll work hard, but you’ll have a lot of fun. I’ve been coming to class since I was 7, and I’m 12 now. I can’t imagine not doing this! This year, there’s a brand new hand-balancing class on Tuesday night. I haven’t tried that one yet. Maybe next semester. I need to work on my handstands more before I try that, I think! 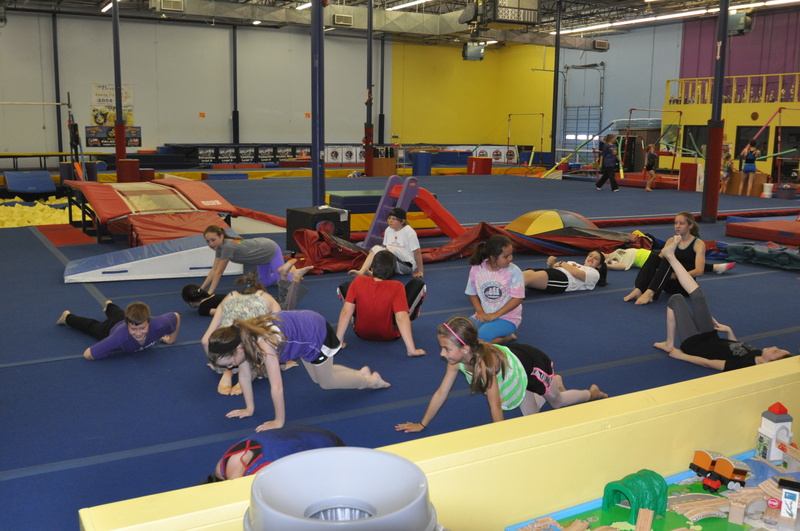 There’s a Wednesday night kids circus class from 5-6:30 where kids of all levels work with coaches. You can come to that one if you’re a beginner, or if you’re advanced. There’s also a beginner class on Saturday morning and one for little kids (3-5) that just lasts half an hour. The contortion class is also on Saturday. I’m definitely not a contortionist! But I’ve tried it, and it definitely makes you stronger. So if you’re reading this blog, and you’ve looked at pictures of me on a trapeze or the silks or the rola-bola and thought, “Hey, that looks like fun”, you’re right. So come on and try a class! If you live near me in Lake Highlands, and you need a ride to the Palestra where Lone Star Circus classes are held, you can ride with us. You won’t be sorry! UPDATE: Wow. I am super unhappy. I passed on a movie role this weekend because I didn’t want to miss the first class at Lone Star. But when we got there, there was no class. The online schedule said classes started August 19 — and I was in class on Tuesday and Thursday of this week. But the printed schedule on the desk at the Palestra said that kid’s classes don’t start until next week. Super bummed out. On the plus side, I got to see Jesse Patterson, who was there to work out, and that’s always fun. She went to LA this year for coaching, and I went to Vermont, so I haven’t seen her in a couple of months. But I sure wish I’d gone to work on a movie set instead of showing up for a class that wasn’t there!